Time here will represent start of Isha prayers at the beginning of Ramadan unless specified. Please check with you mosque about the prayers time as most of the mosque do change the time a few minute later on during the month of Ramadan. Jul 26 - Jul 28: 10:20 PM 20 BARIC will arranging for Iftar, Dinner, Taraweeh (Khatum-ul-Quran) for month of Ramadan. 647-608-7460 10:50 PM at the beginning of Ramadan. 20 Planned Ramadan Lectures. Daily Tafseer program at Taha Musallah after Asr Salat. Weekly Dikhar mehfil every Friday after Asr Salat. (647) 719-1112 Local Moon Sighting 11:05 at beginning of Ramadan. Please check the Ramadan Time Table given for rest of the month. 20 Khatam-ul-Quran: July 27th Inshallah! (416) 748-8033 Calculation 10:30 20 Iftaar Everyday. (905)527-7371 23 Everyday Lectures and Iftaar provided throughout the Month of Ramadan. 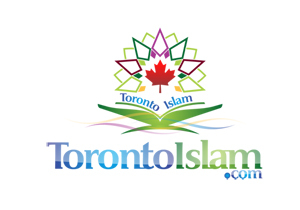 You can sponsor a Taraweeh night for $350 a night (Cost of facility rental). Details to be announced on the first Taraweeh prayer insh'Allah. It will be on first come, first serve basis, and spots are limited. If you wish to participate, please bring your donation along on first Taraweeh. 905-567-1786 Local Moon Sighting 10:30 20 Daily Iftaar and dinner in the Masjid. 905-564-5509 Global Moon sighting Check Time table for Ramadan 2015 schedule 20 Check the Ramadan time table for the Lectures and other programs offere in Ramadan 2015. 1. We will be inviting an amazing imam from Libya to lead Salat for us. There will some reminders between the fourth rak'ah and the fifth rak'ah. (Dua and a few reminders will be told). We will have Taraweeh, Qiyam milaal and I'atikaaf. Dua khatam al-Quran. Taraweeh will start after salat al-Isha. 2. Every night we will have Iftar at the masjid so we need volunteers to help us with the dinner distribution, parking etc(We will give volunteer hours to those who need it). 3. We also need people to sponsor us (for Iftar). 4. If you would like to sponsor for one person, each person is $10. 5. Join us with the Iftar dinner and Taraweeh and have a great Ramadan Inshallah. Salaat Ishaa 10:30 @ Stephen Lewis School Mississauga 20 Isha and Taraweeh @ Stephan Lewis School. 416-321-0909; Global Moon sighting See Ramadan TimeTable 20 Dates and water is provided for every one for daily iftar. Sponsored Iftar will be Sunday Iftar and Dinner. Babysitting will be available during Isha and Taraweeh for children Age 4 and up. Please register your child. Additional Free parking is arranged at The Estate Banquet & Event Center acroos from the center. for ages 18+. Register by Ramadan 10. Qiyamat-ul-lail and Khatum-ul-Quran Inshallah.